Russ Reber, a 30+-year veteran of Carpenter Technology, has held numerous positions in Commercial, Manufacturing and Technical Services, including Vice President – Forged Bar and Billet, Vice President – Manufacturing, General Manager – Melting & Large Bar Manufacturing, General Manager – Bar Products, Manager of Premium Melting Operations, Manager of Primary Technical Services and Manager of Bar Metallurgy. He started full-time employment as an Assistant Metallurgist in Bar Product Metallurgy in 1981 and held several metallurgist positions up to Sr. Metallurgist in 1991. He began his career at Carpenter in 1980 as a lab technician in the Summer Co-op Program. He most recently served as Vice President – Quality, Technical and Customer Service where he was responsible for Carpenter’s Quality Operating Systems, the technical aspects of producing Carpenter’s products and for the mill/customer interface. In addition to receiving a bachelor’s degree in metallurgy at Penn State University, Russ holds a master’s degree from St. Joseph’s University. He also attended a strategy program at Wharton College and completed several management development programs at Penn State University. He also attended the Center for Advanced Emotional Intelligence. 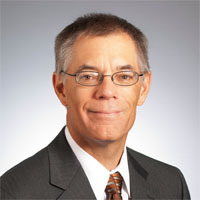 Russ Reber is a member of the American Society for Materials and the Association for Iron & Steel Engineers. He is a member of the Materials Science and Engineering External Advisory Board at Penn State, University Park. Russ is also a member of the non-profit Children’s Home of Reading Board of Directors.